There is just over a week left until Christmas day! The more organised among you will no doubt have bought and wrapped all of your presents. The rest of you have a few more hours to come up with a thoughtful present or a treat. Here at Snapfish, we have worked with a group of creative bloggers to introduce some inspiring ideas for stocking stuffers. We have picked 5 of our favourite ideas which truly express the Snapfish spirit, and we hope you enjoy them as much as we do! In her own words Kim is an artist, crafter and blogger who loves to share her art-ventures. Kim has used her own artwork to create bespoke stocking stuffers. 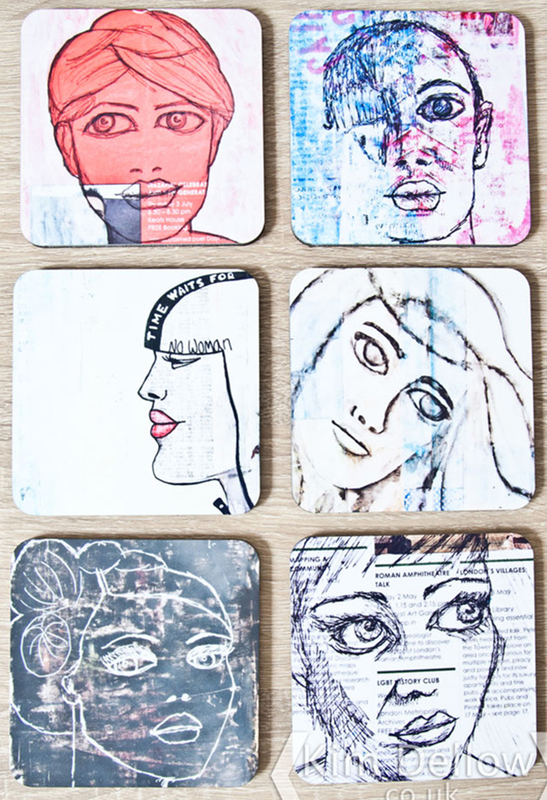 Create your own coasters. Natasha is a freelance graphic designer, who has worked with Snapfish numerous times before. 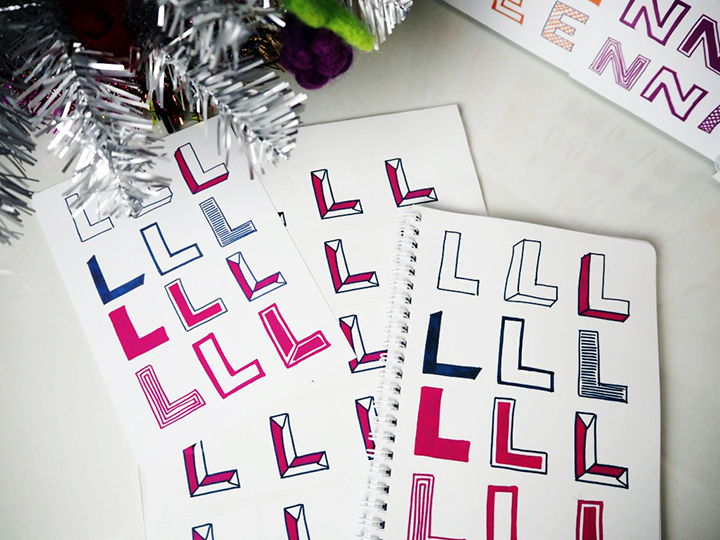 Natasha’s stocking stuffers caught our eye with the creative monogram design, perfect for personalised Christmas gifts! Create your own personalised notebook. Christie is a lifestyle blogger, who has created a range of different stationery stocking stuffers perfect for the kids. From keyrings to stickers, and notebooks to magnets. Create your own. 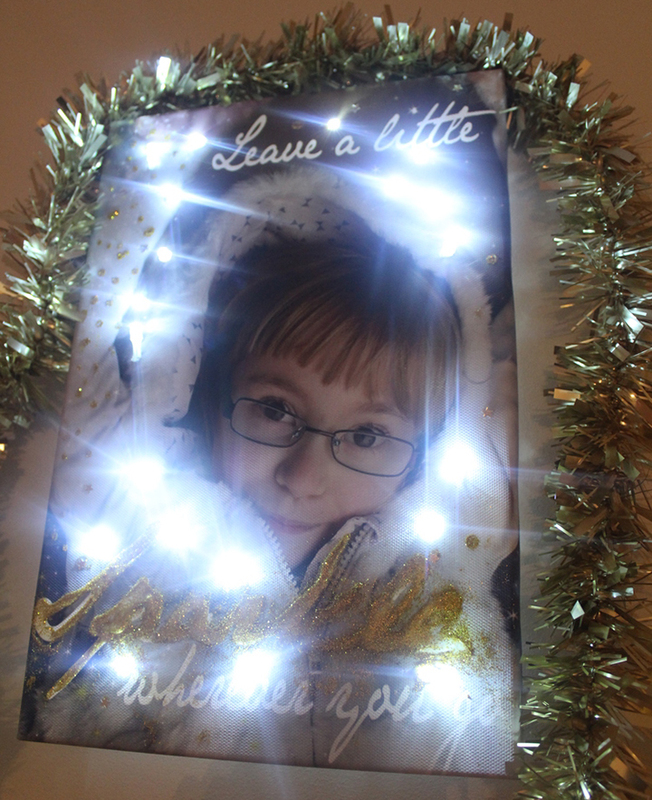 Tracey is not only a mother, but runs an inspiring blog with her daughter. Their love for arts and crafts shows in their creative stocking stuffer ideas. The Creative Pair have been extra creative by adding a little sparkle to one of our Slim Canvas prints. Anni is not only a mother of two boys, but also has an inspiring blog. She likes arts, crafts, and drinking copious amounts of tea!! 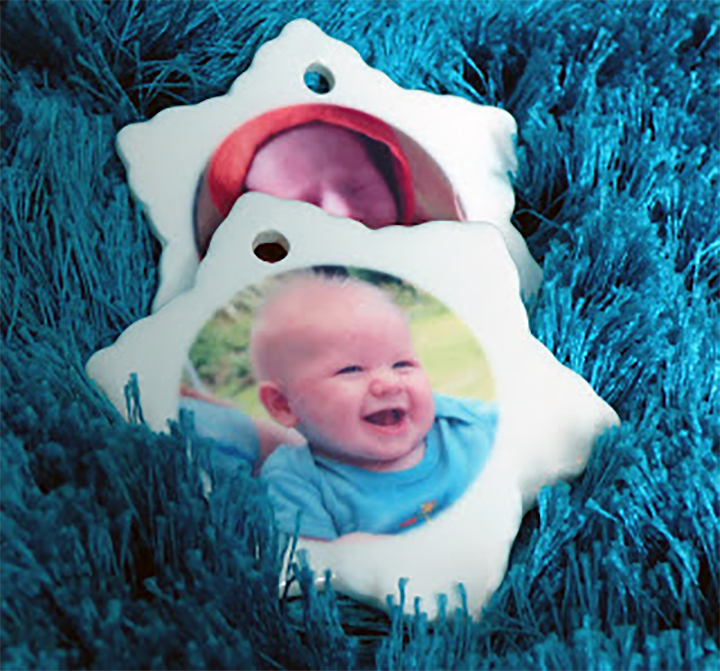 Anni has used Snapfish ornaments, to start a new family tradition. Tagged as christmas ornaments, christmas presents, notebooks, personalised canvas print, personalised christmas presents, personalised coasters, personalised gifts, personalised notebooks, personalised ornaments, personalised stickers, photo keyrings, slim canvas print, snapfish blog, snapfish uk, stocking fillers, stocking stuffers.